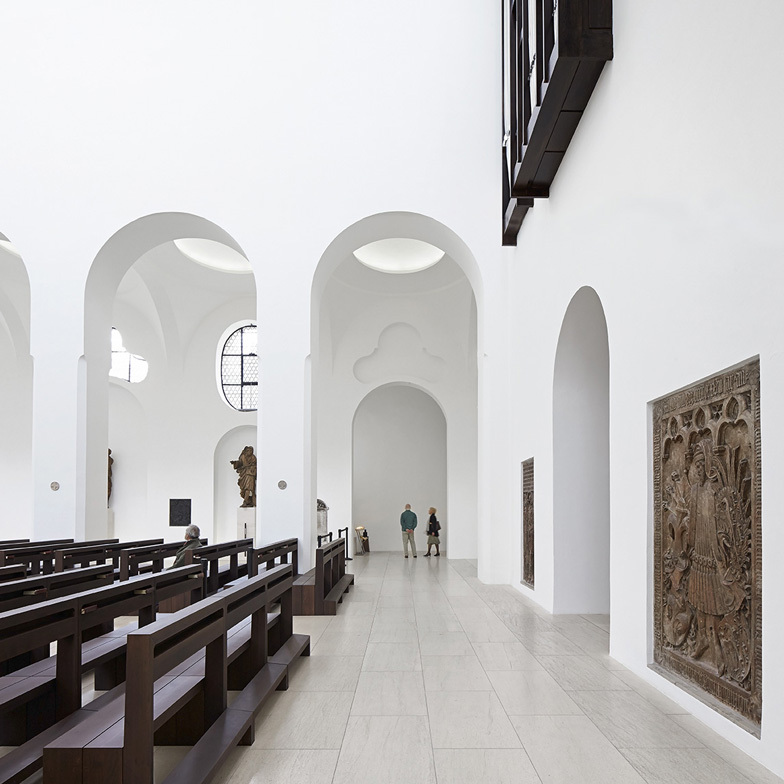 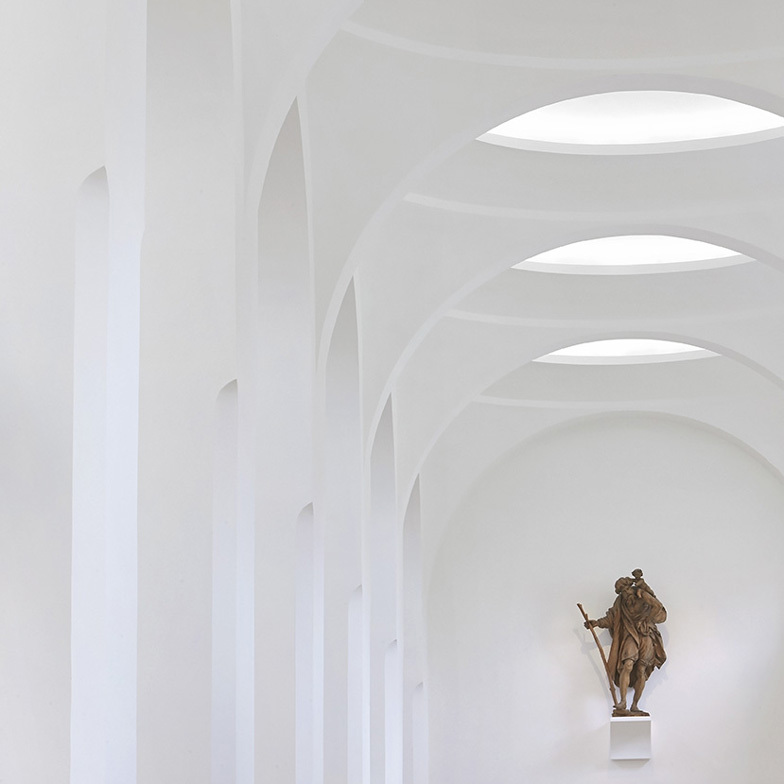 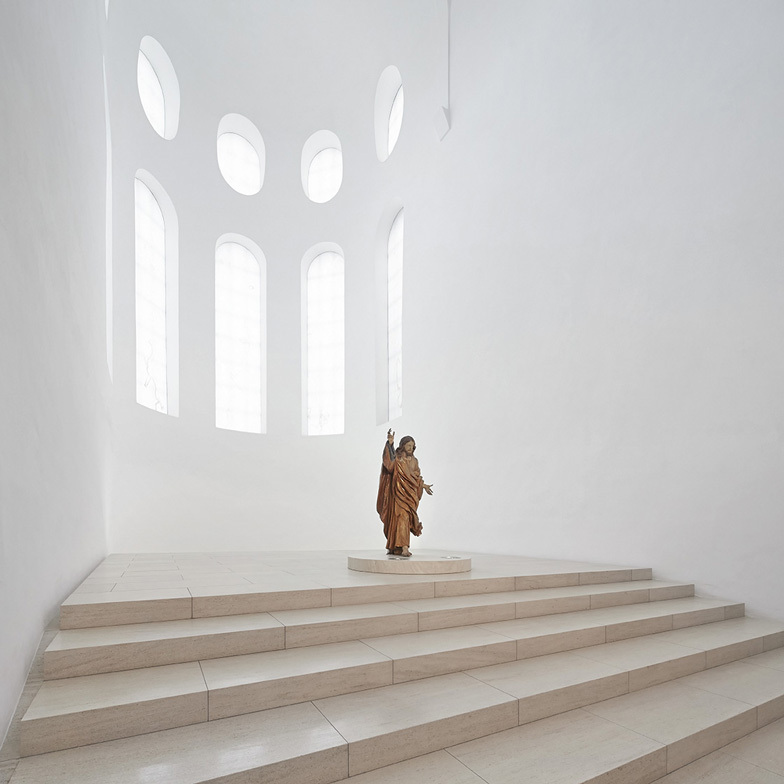 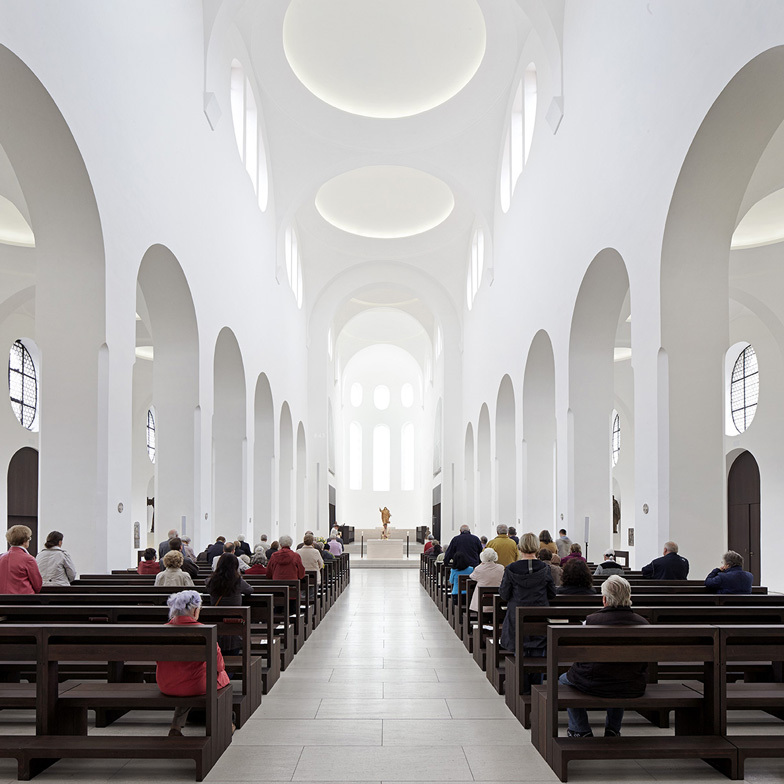 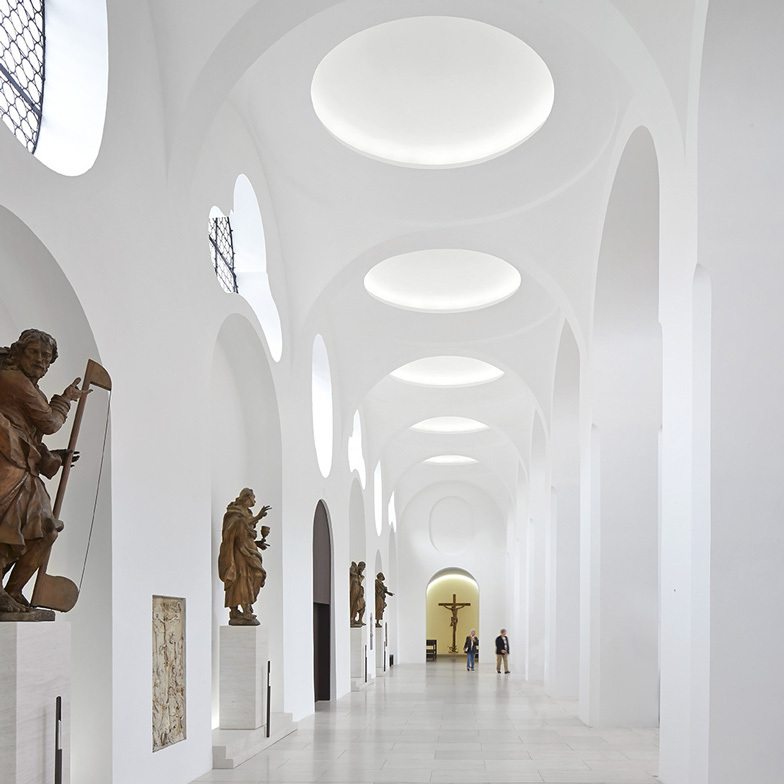 This huge slideshow of images by British photographers Hufton + Crow shows the minimal interior of John Pawson's St Moritz Church in Augsburg, Germany, during a rehearsal for a choir recital. 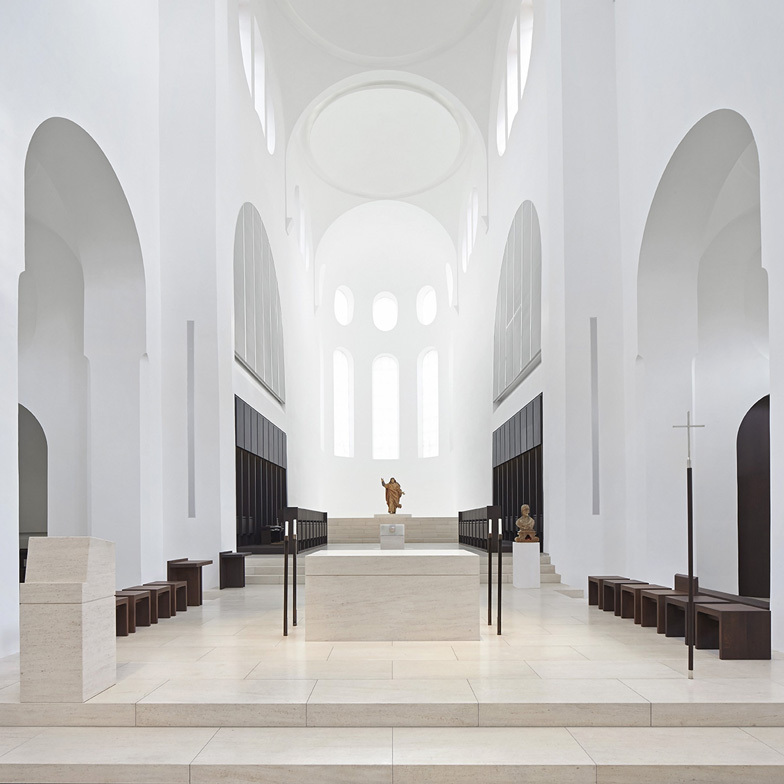 British firm John Pawson Architects remodelled the old church by adding slices of onyx over the windows to softly diffuse light, as well as Portuguese limestone floors and dark-stained wooden furniture. 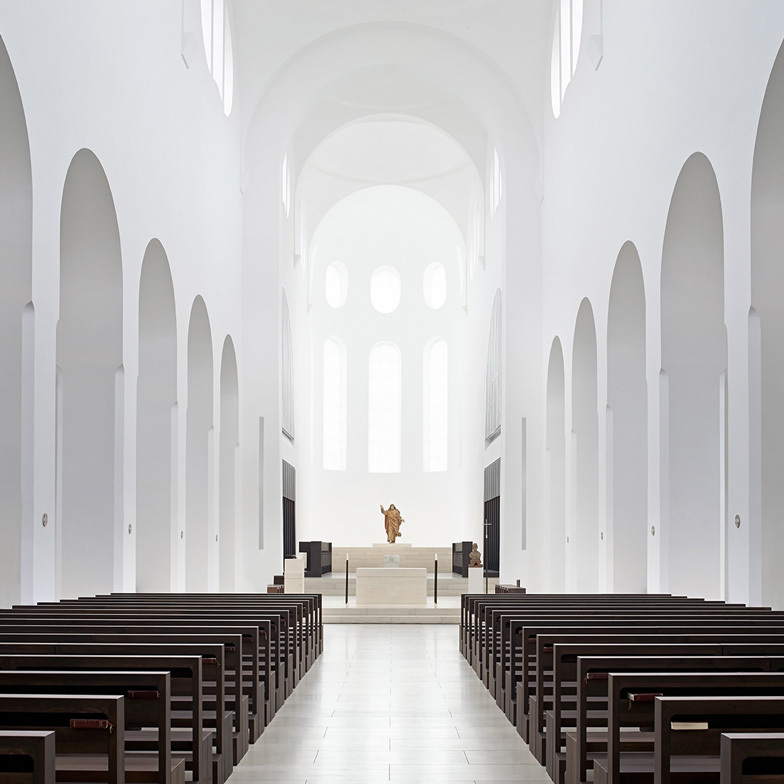 The apse and nave are the brightest spaces in the church, while the side aisles feature more subdued lighting and carved sculptures of the apostles, which sit within arched recesses in the walls. 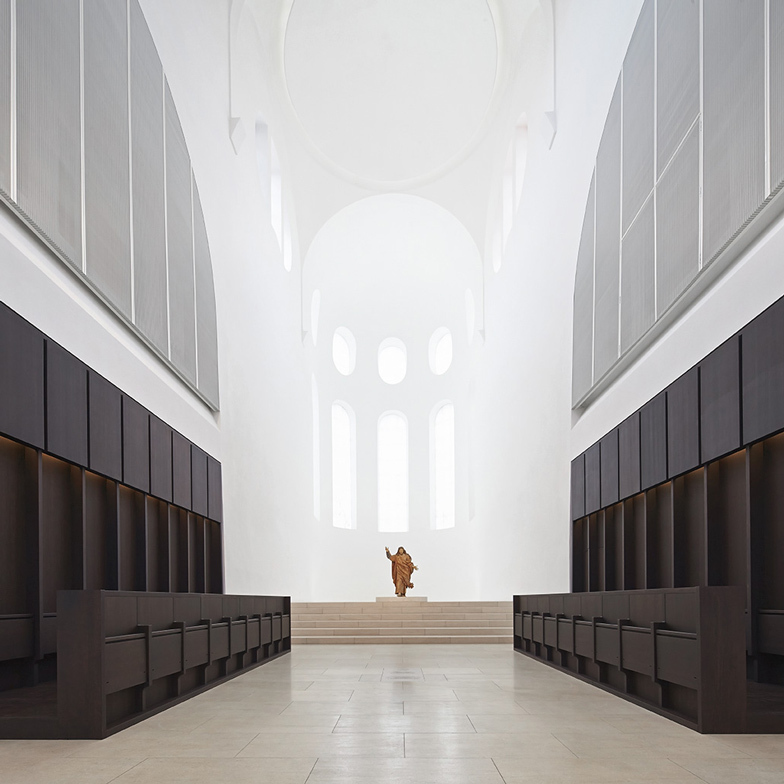 Hufton + Crow's Allan Crow shot the photographs on the day of a concert, but didn't expect to find the choir rehearsing when he arrived. 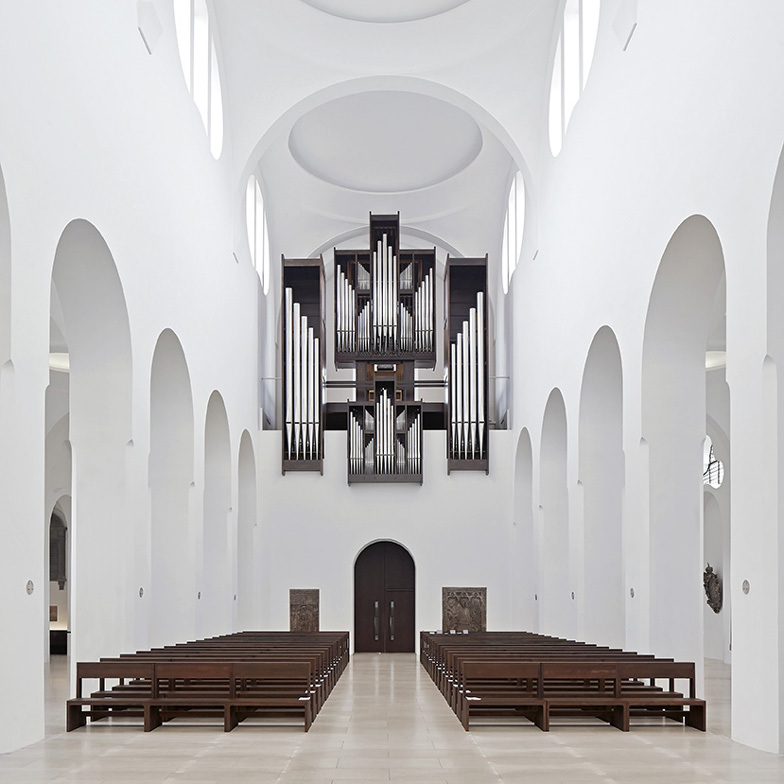 "When I got to the chapel I discovered that there was a concert planned for that evening and they had to rearrange all the seating, set up a stage and rehearse," he told Dezeen. 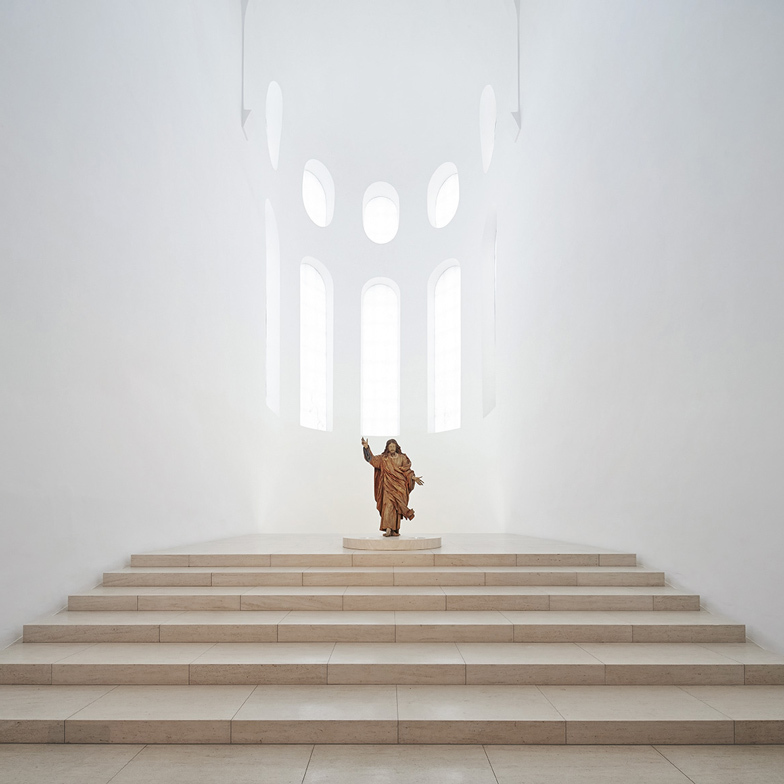 "At first I thought it was a disaster as I wouldn't be able to get my shots, but when they set up the stage and started rehearsing I had the absolute pleasure of being serenaded for two hours, as I picked through some more detail images by the most beautiful choir in the most beautiful building," he said. 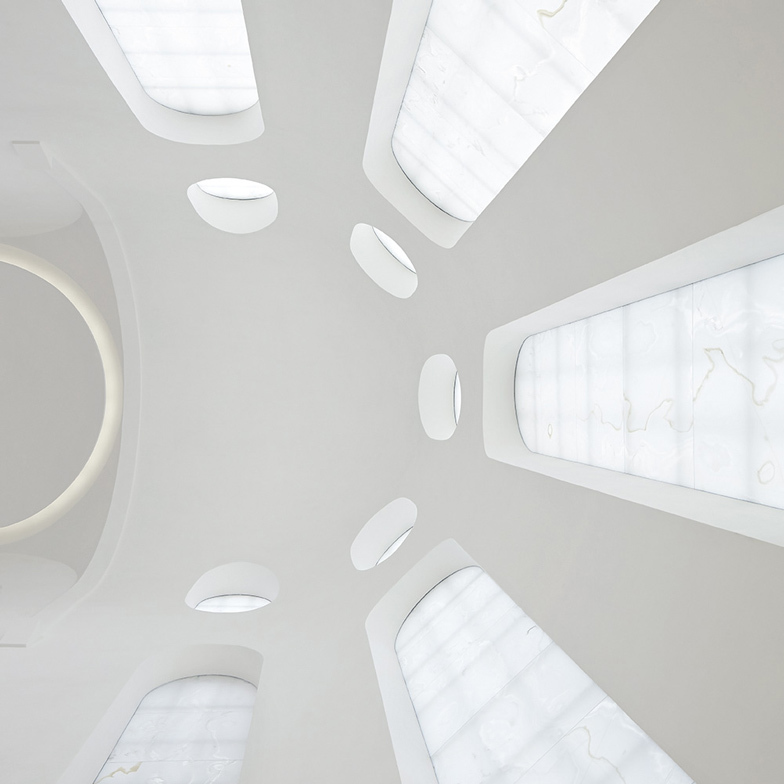 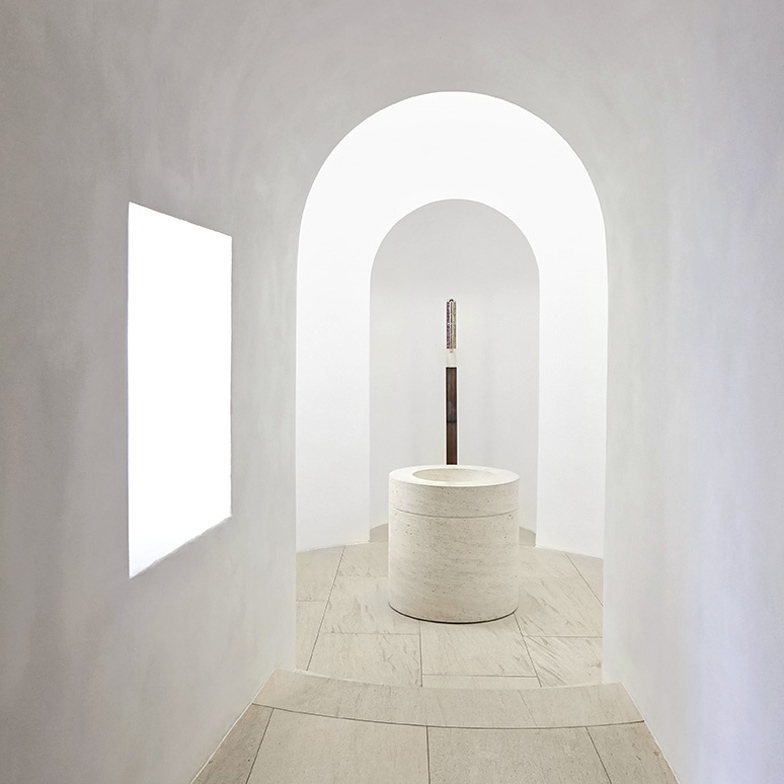 John Pawson, who is celebrated for his minimalist architecture, completed St Moritz Church in July this year. 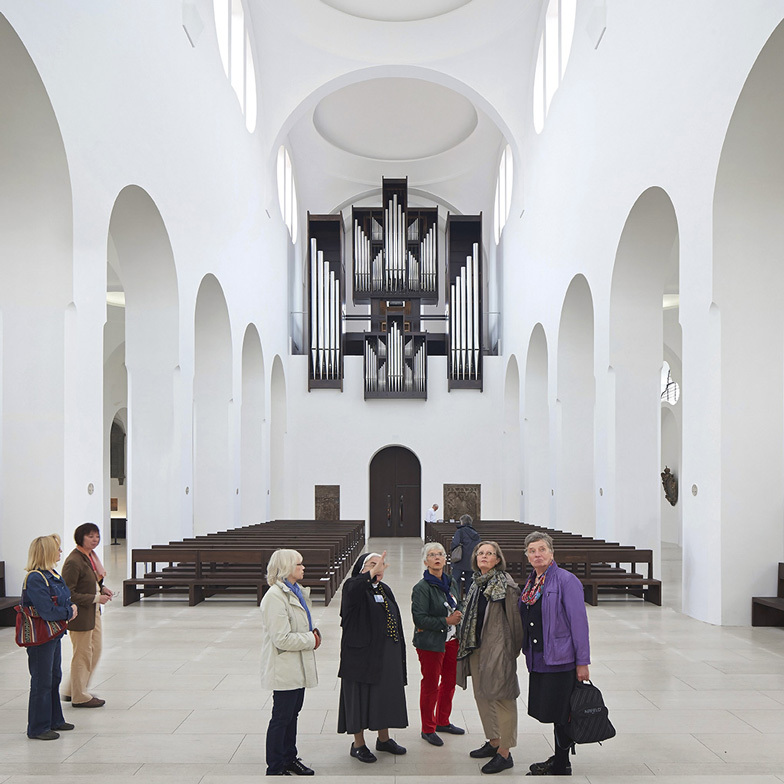 He won the commission after the parish councillors visited his Novy Dvur monastery in the Czech Republic.